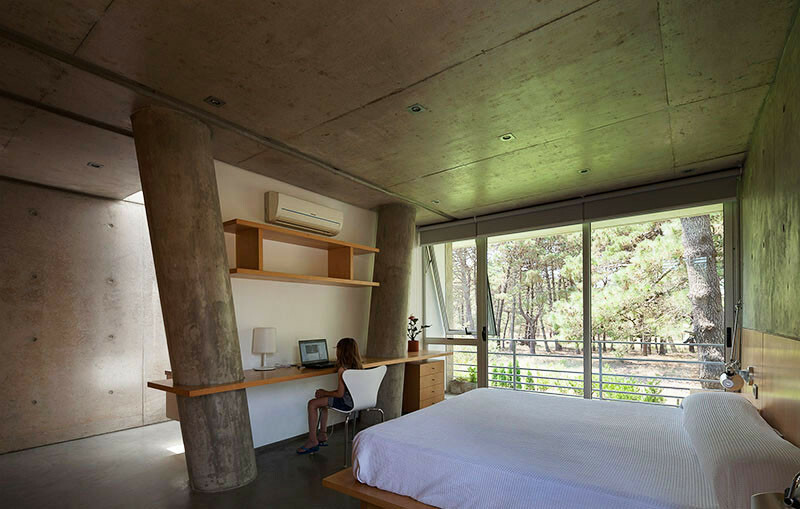 When Estudio Galera was designing this house for a family in Argentina, they had to figure out a way to make the concrete columns work into the design of this bedroom. Their solution was to design a simple desk surface that perfectly fits around the columns. The columns actually appear to run through the wood surface of the desk. It’s a very clean and clever design detail.